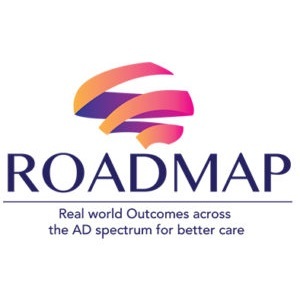 The ROADMAP project provides the foundation for an integrated data environment and framework for real-world evidence in Alzheimer’s disease. This includes the development of consensual key outcome measures and enabling data integration tools for dataset characterisation and outcome classification, as well as guidelines on the handling and interpretation of RWE data. Identifying the real-world outcomes of AD that matter most to key stakeholders will help ensure that future treatments effectively improve the lives of those affected. As to obtain a set of real-world AD outcomes, a systematic literature review on quality of life of people with predementia and dementia and their caregivers was conducted. The protocol has been published in BMJ Open.